IT is time to see the new Coach FW19 collection. The Paris and Milan menswear fashion weeks may be over, but not everyone had their shows in January. 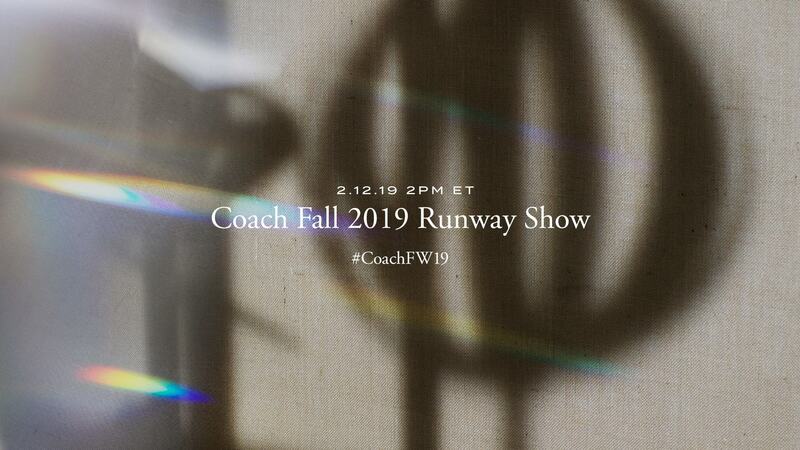 It seems strategic, because all eyes are now on the release of the Coach Fall/Winter 2019 show, happening on February 12th, at 2PM EST (February 13th, Wednesday at 3AM SGT). In this upcoming FW19 collection by creative director Stuart Vevers, whether it be bringing back the signature Coach looks or introducing new concepts for this season, there is much to look forward to tonight. Surely nothing can beat catching all the action in person, but the next best thing is to see the magic through your screens. All of this is happening in The Big Apple at New York Fashion Week, along with other headliners like Michael Kors, Tom Ford and Ralph Lauren scheduled in the same week. It isn’t news that Coach has been making big waves of late. Besides recruiting Hollywood star Michael B. Jordan as the new global face for their menswear line, Coach had also successfully held their Pre-Fall 2019 show in Shanghai – one of their biggest markets since their launch in China back in 2003. Not only do they have the attention of the Chinese buyers once again, but it also seems they are making it clear that they are a force to be reckoned with in the international fashion realm. Now that Coach has garnered so much attention, it is up to Vevers to deliver a show in NYFW.